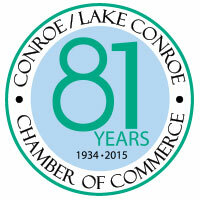 MONTGOMERY — On Thursday, June 4, 2015, Montgomery Summit Business Park (MSBP), along with the Conroe/Lake Conroe Chamber of Commerce, celebrated their grand opening with a Ribbon Cutting Ceremony presenting the new business park. The ceremony took place in front of one of their newly finished office suite buildings, located at 15349 Summit Park Drive, Montgomery, TX 77356. Sign up for our email alerts and receive details about our progress and availability.